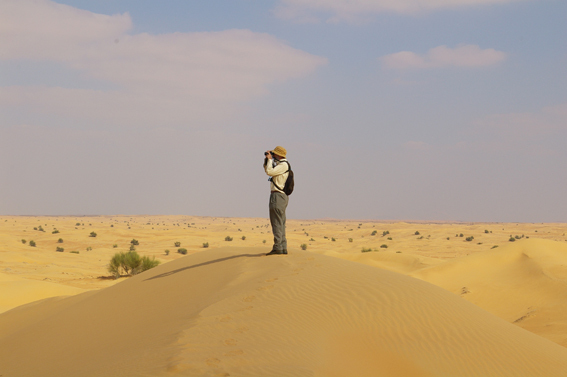 Overall we have had a very successful week in the desert and Steve the scientist is really happy with the data we have collected; particularly gazing at oryx bottoms to score their body condition while they are feeding – and of course the fox jackpot. Each individual oryx of twelve herds has been scored and the team members will all bring back hundreds of photos of oryx backsides! 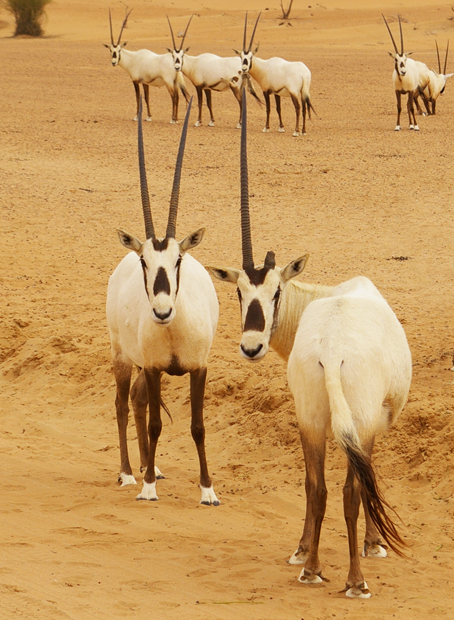 Six months ago the feed was increased due to the poor condition of the oryx. Our preliminary results of the expedition show that they are now generally very healthy and well fed. Last night we enjoyed dressing up for an evening at the bar of the Al Maha Resort with drinks (and desserts!) It was well after bedtime by the time we returned to camp (at 22:15), so we had an extra long lie-in until 07:00 this morning : ) It seems like we had only just set up camp when it was time to break it down again. A big thank to everyone on the team – so much can be achieved in such a short time with so many eyes and ears. Research like this would not be possible without your contribution! 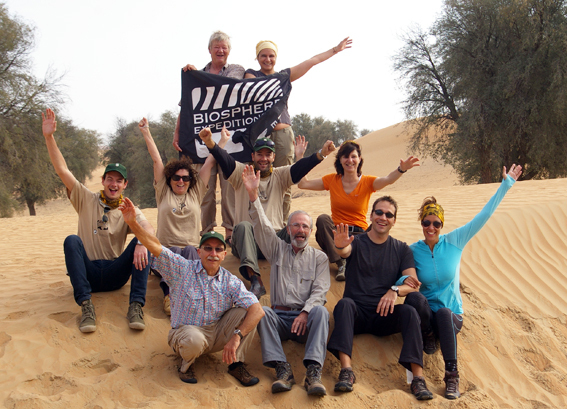 Another thank you goes to Starwood Group for supporting conservation by making sure we were well fed (like the oryx). Safe travels to everyone for their onward journeys, we will be on our way back home on Monday and will be in touch with a link for everyone to share their photos. Hope to see you again some time somewhere!